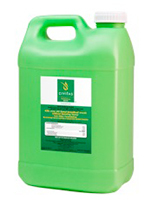 Civitas WEEDfree BRAND Concentrate is an affordable, fast-acting, hybrid selective herbicide with no offensive odor that gives lawn and landscape professionals the best of both worlds – efficacy and resourcefulness. The Microtechnology+ delivery system penetrates into weeds^ more efficiently, resulting in significantly less active ingredients required to kill weeds right down to the root. +Microtechnology signifies emulsion particles less than 1 micron. ^Important: Do not apply to Bentgrass and Floratam, a variety of St. Augustine grass. See full list of controlled weeds and use directions on peel away label. *When compared to other pesticides containing/using these active ingredients.